The East Coast isn’t the only part of the world that’s dealing with freakishly mild weather this week. In what’s becoming a yearly occurrence, the Arctic is having an off-the-charts heat wave. Temperatures spiked above freezing briefly at Greenland’s northernmost weather station on Monday, but it’s hardly the only area dealing with insane heat. 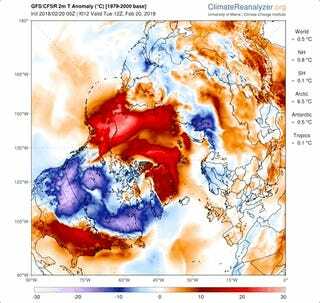 Parts of the Arctic are up to 37 degrees Fahrenheit above normal for this time of year. That’s led sea ice growth to stall out and even reverse in some locations. This is the latest incarnation of climate change thawing the coldest reaches of the planet. Mild air is pouring into the Arctic in the North Atlantic and the Bering Sea due to a dip in the jet stream. Normally that fast-flowing river of air keeps the Arctic separated from the warmer mid-latitudes. But sometimes that firewall breaks down and the jet stream becomes more wavy. That’s what’s happening now with cold air normally trapped in the Arctic plunging into parts of western North America and Eurasia. It’s being replaced by mild air entering both the Pacific and Atlantic side of the Arctic. The two-pronged attack has created chaos across the entire region. On the North Atlantic side, it’s being driven by a negative trend in the North Atlantic Oscillation, a climate pattern that flips throughout the year. In its negative phase, it can create stormier conditions along the southeast side of Greenland. “That has allowed a lot of warm air to be transported north through the Greenland Sea,” Ruth Mottram, a climate scientist with the Danish Meteorological Institute (DMI), told Earther. DMI scientists recorded temperatures crossing the freezing threshold at the world’s northernmost land-based weather station, located in Greenland. An initial analysis shows that temperatures there rose an astonishing 39 degrees Fahrenheit in four hours on Sunday night. They’ve stayed above freezing through Tuesday. This is hardly the only instance of a weather station going haywire due to the heat. Sea ice in the Barents Sea, which sits to the east of Greenland, has also started to shrink at a time when ice is usually still climbing towards its maximum extent. The same process has played out on the Pacific side of the Arctic as well, where sea ice has been wiped out in the Bering Sea. InsideClimate News reported that the sea lost a third of its ice in just eight days. Warm air is expected to keep the Arctic abnormally mild for much of this week. Temperatures across the region will be up to 11.5 degrees Fahrenheit above normal with hot spots well in excess of that. That includes the North Pole, which is forecast to pass above freezing at times this week. Heat waves like this are happening more frequently now as climate change kicks up background temperatures at a rate twice as fast as the rest of the globe. “You can see that higher-than-average temperatures happen occasionally all through the record, but over the last five years or so they are happening way more frequently, and the average curve really seems to have shifted upwards,” Mottram, speaking about the Greenland weather station, said. The Greenland station is one freakish example of warmth that’s been affecting the Arctic all winter. This past December was the hottest December on record according to plots put together by Zack Labe, a University of California, Irvine PhD candidate. January was freakishly warm, too, with part of the Arctic averaging up to 9 degrees Fahrenheit above normal for the entire month. The heat has set off a feedback cycle of ever-dwindling sea ice. That exposes darker ocean water, which traps more heat in the region and sets off more melt. This year is currently on track to have the lowest maximum sea ice extent ever recorded. It will beat last year, which beat the year before that, which beat the year before that. Data using tree rings, seashells, and lake sediments indicate Arctic sea ice hasn’t been in this sorry shape in at least 1,450 years. 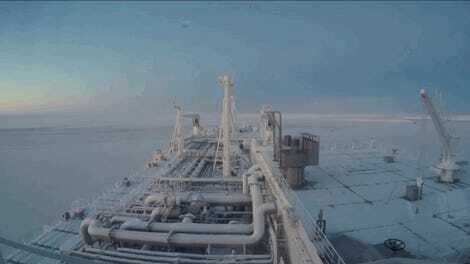 That’s why natural gas tankers are cruising across the Arctic in formerly ice-covered waters like it ain’t no thing. At our current rate of warming, we could have ice-free summers in the Arctic by the 2030s. 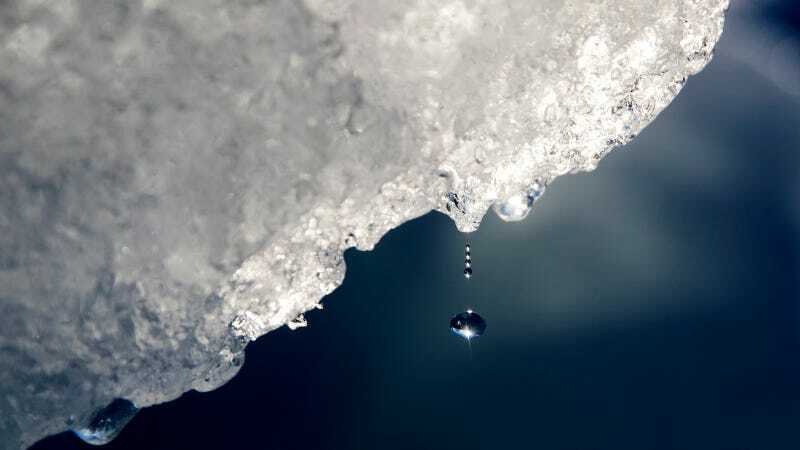 Permafrost continues to warm even at depths of 120 feet below the surface, creating an unstable landscape in the Arctic, and endangering lives and livelihoods. And then there’s all that ice on land in Greenland, which is expected to melt at a quickening pace and flood coasts around the world. While we’re writing headlines about heat waves, it’s all those factors that will write the future ones.